Did you include a plan to segment your leads after they opted into your quiz? Created a lead score for each of your new prospect yet? Do you know which traffic source did they opt in from? Do you know how to segment and qualify your quiz leads? If you’ve been shaking your head to my last three questions, now’s the time to sit up and start taking notes to what I’ve to tell you next. You might assume once your quiz is set up, your business will just flourish with leads. And eventually every lead will convert into a paying customer. Wrong. It doesn’t work in this manner. Especially if your lead comes from cold or luke-warm traffic. Cold or luke-warm traffic refers to visitors to your website who either don’t know who you are and what you do or have a vague impression of you. In one of my previous posts, I mentioned about how crucial it was to nurture your quiz leads with an email autoresponder. And I also talked about how to create variations of emails responses according to your prospects’ responses. What is segmentation and why should you care? Segmentation require you to see your customers not as one single group of people who need or are interested in your products. You have to think of your customers in different groups or what we refer to as segments of people who have slightly different problems, desires and needs. Once you identify key customer segments, you group them by various levels of attention and information needed. 2. Highlight different product benefits to different clusters that are MOST RELEVANT to each person’s unique situation. Segmentation, if well executed, is an marvellous tool to both boost sales numbers and maximize customer lifetime value. When you have limited number of working hours in a day, you want to be strategic on how you spend your time. In the past, sales personnel used to spend equal length of time on each lead to convince them to buy. However, lead quantity doesn’t have a linear relationship with lead quality. Your objective is to close more sales within the shortest possible time while spending the optimal volume of energy on a lead. Just enough to convince them to purchase your product. Nothing too much, nothing too little. You spend less time on a prospect who’s tipping over, ready to “say yes” to you in contrast to a prospect who’s just at the research stage. 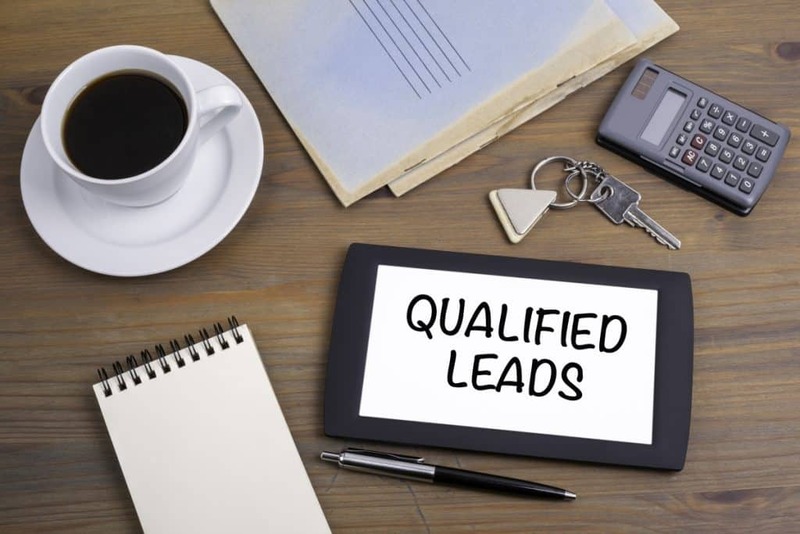 Now we have technology to segment leads into cold, warm and hot leads. Through segmentation, you can identify which group of leads need more of your attention and who require less labour. In an ideal situation, you can easily group them into the three categories. However, in most cases, there are various degree of warmth and coldness. That’s when a “temperature” score comes in handy to sieve out higher degrees of warmth and lower degrees of warmth. Without proper lead qualification through your quiz questions, you end up with three problems. If you don’t segment your leads, you squander valuable time trying to sell to leads that are not interested in your products and will never be persuaded by you. I emphasize on quality over quantity. Rather than dividing your time between ten prospects, your effort would be more wisely spent on five people. The five who have proactively expressed interest in your services in one way or another. Of course your best prospects might also need a fair amount of persuasion before making the buy decision. Begin with asking the right questions to filter out those who are doomed to be time wasters versus those who show keenness to learn more about how your products can help them. In certain scenarios, you end up selling your product to prospects whose problems are not a good fit to your products. This has repercussions because you’ll end up with more post sales work to pacify them and give additional assurances. Because there’s no confidence and trust, you might likely result in bad publicity and extra undertakings that translates into negative ROI. Segmenting and qualification of your quiz leads is a bigger deal that you think because you want to concentrate on those people who are really interested in what you have to say! As much as an aesthetically appealing quiz title and image is fundamental to click-throughs, you don’t want any random dude to opt-in. The fact is, the quiz title and image act as first round judges. They determine if folks who click through are even keen on the subject topic. Select verbs and nouns related to your targeted quiz-takers. For example, if quiz is related to hormones, the word “hormones” should be in your quiz title. If you’re targeting home-buyers to your quiz, both the words “home” and “buyers” are essential. The quiz headline itself could also be a problem statement faced by your potential quiz-takers. You’re a sports shoe retailer and you want to target the runners market. So you create a quiz aimed to get runners to purchase new running shoes. These are the two groups of customers you’re looking at. Your quiz title could target group 1 with “Do your running shoes actually fit?” or “Is your running shoes right for you?”. As you can tell, runners who are facing some pain with existing shoes could be keen to confirm they have a real problem at hand. They are keen to know how they can overcome it. A headline like “What type of running shoes do you need?” or “What type of running shoes suits you best” would attract people who are unsure what type of shoes to get. They are looking for recommendations that are appropriate for the activity. In this example, both headlines would appeal to both group 1 and group 2 audience. Especially when they are in the research or verification phase of their running shoes buying journey. Are you getting the search intention right? Another method to ensure you’re on the right track – carry out some keyword research. See what pops up on Google’s first page. That would aid you in understanding the search intention behind key phrases to build into your title. An accompanying image of a pair of running shoes in the outdoors or even better, a person running in a pair of trainers would immediately grab the attention of runners. The first round of filtering has hopefully excluded people who absolutely have NO interest in buying running shoes. Next up, you want to develop a lead score system to group and prioritize your leads. identify the stage of the customer journey they are in. and the number one pain-point they are facing right now. Identifying the degrees of willingness to be convinced will help you to speak in their language and decide which bits of information to focus on when you talk to them. In this case, you are gathering clues through their answers to the questions. There are three main approaches to give scores to your leads through your quiz. The simplest way to score a lead is based on their final outcome. If they had an outcome A, B or C, you can allocate a simple score of 5, 10 or 15 respectively. Or you can add in more detailed scoring based on answers from specific questions or a combination score from two questions or more. Ask a question to determine severity of their problem. Attach a higher score to a high severity problem. And if they have been facing a problem for a longer period, it could also be an intention indicator for a solution within a shorter time. Example in one of your questions: “ How long did you have this pain in your foot?” So in your scoring system, you can allocate more points for experiencing pain for the last three months. Give lower points to a pain that just started. You can also ask a question if the quiz-taker is willing to take action to resolve their current problem. A higher willingness to solve their problem would equate to a higher lead score. For instance, a question like “How soon do you need a new pair of running shoes?”. An answer of “I start my training in a few months time.” implies that the urgency of getting a new pair is not there. Someone who selects this answer might need more persuasion to make a buy decision. Clarifying the root need – the number one objective – could help to tip the decision. Let’s say, you have these two questions, “How often do you run?” and “Are you training up for a competition?”. Let’s say, someone selects these two answers, “I need a daily morning run to perk up my day” and “I’ve signed up for a 10km run that’s happening in two months time”. This person probably has a huge passion for running and need a new pair of running shoes as soon as possible. Immediately, we assign a higher lead score to these two answers to identify a prospect who has a pressing need. At the end of the quiz, calculate a total lead score from the answers of all questions. From the answers, group them first according to the customers’ personas and secondly sort the leads by their lead score. To put it simply, those who has an immediate need and a higher score, you follow up with personalized autoresponders according to their answer profiles. Having only a single sequence of autoresponders will be less effective compared to multiple sets of customized email series. From your leads’ replies, link clicks or even non-responses to your autoresponders, you compose your follow-up responses to nurture them. To warm them up to you. The value of your customers are not identical. Stop talking to them as if they were! Qualifying your leads through your quiz title identifies potential customers. Aligning the leads’ problems to your proposed solution would help you to craft a more fitting message to allay their concerns about your product. Whereas assigning scores enables you to pick up on the low-hanging fruits a.k.a the hottest leads to convert them earlier. For leads that have lower scores, you should plan in a longer period of nurturing to conversion. The primary objective is to put in the most suitable input to achieve maximum results. Have you done anything to segment and qualify your quiz leads yet? If yes, you can share in the comments below to tell us what’s your returns so far? If you’ve any questions regarding segmentation and qualification of your leads, comment below and I’ll get back to you! This entry was posted in Conversion Rate, Email Marketing, Quiz and tagged autoresponder, listbuilding.